Kearny Annex. 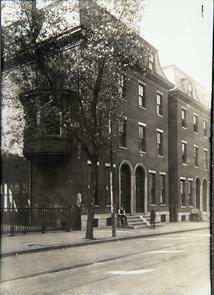 712-714 N. 6th Street. May 18 1920. Angled view of two homes. Bay window on left. Boy sitting on steps.